WASHINGTON--(BUSINESS WIRE)--Siemens Energy has received an order from the U.S. public utility Portland General Electric for the supply and installation of 116 wind turbines. The wind turbines, each with a rating of 2.3 megawatts (MW) and a rotor diameter of 108 meters, are to be installed at the Tucannon River Wind Farm in the state of Washington. When it comes online in 2015, the wind farm’s total capacity of 267 MW will be sufficient to supply nearly 84,000 American households with ecofriendly electricity. 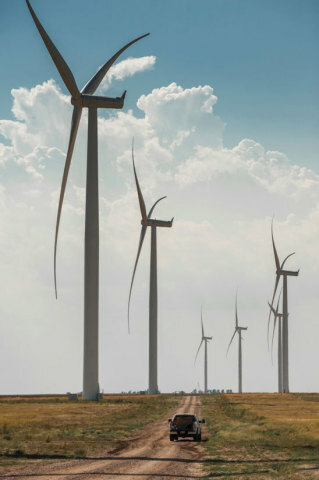 The nacelles for the wind turbines will be manufactured at the Siemens plant in Hutchinson, Kansas. The rotor blades will be fabricated at the Siemens production facility in Fort Madison, Iowa. Siemens will also be responsible for service for the wind turbines over a period of five years. The Tucannon River Wind Farm, formerly known as Lower Snake River Phase II, is adjacent to the Lower Snake River Phase I project, a 343-MW wind power plant completed in 2012 and also featuring Siemens wind turbines.